The Salchow – You hear it every Winter Games, and you still can’t figure out what it is. Second, it’s a skating technique where you jump off the back inside of the back foot, rotate, and then land on the back outside edge of the other foot. This is distinct from the Axel technique, which is a jump from the front skate. Third, the first person to demonstrate this jump was a Swedish man named Ulrich Salchow, all the way back in 1909. As you can see in the Olympic Channel video, skaters have been taking the Salchow to new heights for over a century. The first person to achieve a double Salchow was another Swede, Gillis Grafström, who would win gold in singles figure skating in three straight Winter Olympics. Decades later, at the 1956 Cortina d’Ampezzo Winter Games, American Ronnie Robertson, was the first ever to land a triple salchow, on his way to a silver medal in singles figure skating. By the end of the ’80s, skaters had mastered the triple, symbolized by Brian Boitano‘s gold-medal winning performance at the 1988 Calgary Olympics. At those same games, silver medalist, Kurt Browning attempted to shock and awe with a quadruple salchow. 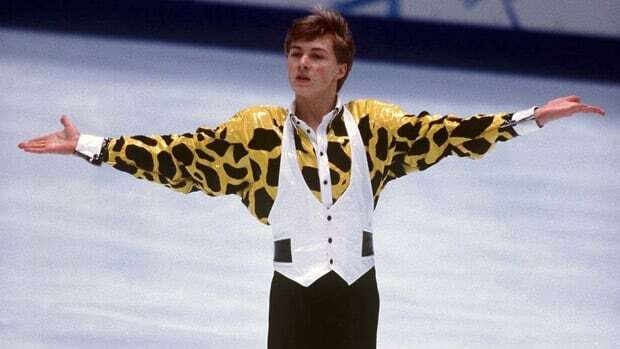 He fell to the ice in the attempt, but he started the obsession of the 1990s – the perfect quad. Skaters would attempt, but end up under-rotating, landing on two skates, or simply crashing to the ice. But skaters were oh-so-close. Many were hitting the quad perfectly in practice, but it took Russian skater, Ilia Kulik, at the 1998 Nagano Games, to finally land a quadruple salchow in Olympic competition, earning him gold in the singles figure skating competition. For nearly 20 years, the quadruple salchow has become a standard technique for the very best. So the question begs – will we see a quintuple salchow in our lifetime? According to this Scientific American article, entitled “Is the Quintuple Jump in Figure Skating Physically Possible?” the short answer is, um…maybe. Posted in Olympics, Other Olympics, Winter Sports and tagged 1956 Cortina d'Ampezzo Olympics, 1988 Calgary Olympics, 1998 Nagano Olympics, Brian Boitano, double salchow, figure skating, Gillis Grafstrom, Ilia Kulik, Kurt Browning, quadruple salchow, quintuple salchow, Ronnie Robertson, triple salchow, Ulrich Salchow. Bookmark the permalink.